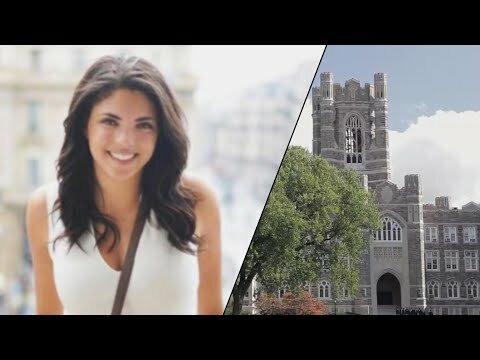 A Fordham University student fell to her death after climbing the campus’ famed bell tower over the weekend, just two weeks before she was set to graduate. Sydney Monfries, 22, was trying to take a picture of the New York City skyline around 3 a.m. Sunday when she fell 30 feet from the Keating Hall tower, the New York Post reported. She survived the fall with injuries to the head and body but later died at St. Barnabas Hospital, police said.